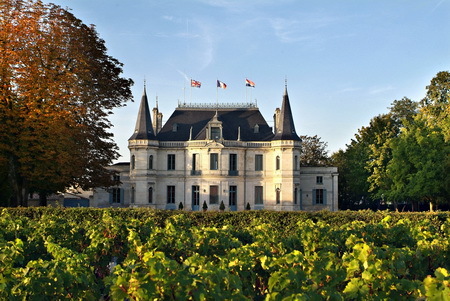 Château Palmer is a much-respected winery in the Margeaux appellation d’origine contrôlée in Bordeaux, France. 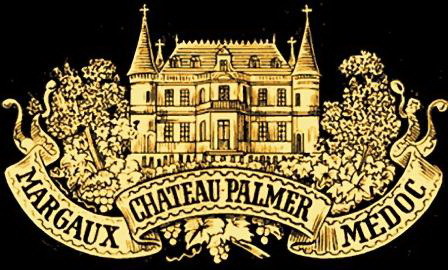 You may recognize Palmer better as one of the classified Third Growths of Bordeaux. Palmer has been known as one of the most popular of this classification and some even argue that its consistent delivery of quality held up against First Growth, Château Margeaux. 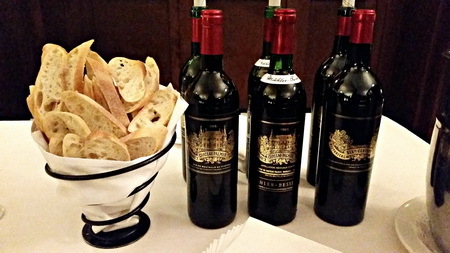 I was given the opportunity to taste several of the Palmer wines at an organized tasting at The National Club in Toronto, Ontario. After tasting the 2004, 1999, 1995 and 1983 vintages up against one another, I’ve concluded that Palmer has been delivering a consistent, reliable quality product. More so, I confirm with certainty, that Palmer’s wines have exceptional ageability and will only continue to improve with proper bottle aging. A sense of terroir was present across all of the vintages. The 2004 was the first that I tasted and I was instantly intrigued. A combination of earth, spice and black cherry on the nose. The acid, tannin and fruit were all pleasantly balanced, but the backbone of the wine was a little too structured for immediate drinking. Black licorice was on the after palate with a very long finish. In conclusion, the wine had attractive structure, but would greatly benefit from age. I moved onto the 1999 Palmer where I left intrigue behind as I became more enticed. The nose was equally as attractive as the 2004, with a dominant note of cocoa. The palate was more approachable with notes of baking spice and an undertone of game. Being 15 years old, the structure still held its grip, while prevailing more fruit to soften the palate. The balance was great and I felt as though the wine was showing the last of its youth. I imagined a perfect pairing of fennel pork sausage with a little spice to match the flavours of the wine. To my pleasant surprise, the 1995 Palmer’s maturity had a way of completely seducing my palate. For a 19 year old wine, the balance was phenomenal and the flavours were complex and intricate. A camembert cheese characteristic was on the nose with added notes of cassis, earth and spice. This wine was exhibiting its attractive maturity and the flavours had completely transformed from structured and fruit prevalent, to creamy texture with mellowed tannins and acidity. The balance was harmonious with an elegant, creamy and lingering finish. Camembert cheese with prosciutto ended up being a very satisfying pairing. To conclude what has been a very pleasurable vertical tasting thus far, I finished off with a tasting of the 1983 Palmer. Initially, I had made notes about how the 1983 had begun to face decline with off flavours. I was enthralled to find out that the bottle I was tasting had a faint cork taint and with a freshly opened bottle, I was once again, allured by Palmer’s consistent terroir and quality. The 1983 showcased maturity beyond what I could have imagined. Very ripe cherry on the nose with an indescribably complex palate. This wine was round and intense with a long, lingering finish of sweet spice and fruit. This vintage is showing beautifully with a delicate elegance that could have only come from its 31-year-old age. I was left replaying the experience of the tasting over and over in my mind. I completely applaud Château Palmer for a flawless execution of creating a very long-lived memory. If you’re thinking of aging a bottle of wine in hopes of revisiting an improved, increasingly pleasurable future product, consider investing in a Palmer. Melissa Pulvermacher is an inspired vino enthusiast and writer finishing up her Honours Degree in Theatre and Marketing Management at The University of Guelph. Pursuing wine as a discipline through the Wine & Spirit Education Trust (WSET), she has fully immersed herself in the industry by working for a local, Niagara winery and by taking on several projects in the discipline of wine, including, but not limited to, acting as founder and coordinator of The Vino Enthusiasts Wine Club, as well as head researcher of a wine buyers and wine agencies project. Melissa is an active writer for Natalie MacLean and for her own personal wine and culinary blog and intends to continue on a forever pursuit of wine knowledge.